Denakil Desert, Eritrea and Ethiopia (NASA, November 1985). The Denakil Desert, one of the most hostile environments in the world, can be seen in this high-oblique, northeast-looking photograph. This part of the great Rift Valley, known as the Afar Triangle, stretches north-south 570 km, varying in width from 80 to 400 km. Bounded on the north and east by the Red Sea and on the west by the highlands of Ethiopia, much of this extremely hot and dry desert is below sea level. Erta Alle (dark gray area near the center of the photograph), a large shield volcano referred to as the "smoking volcano" by local tribesmen, has been in a constant state of eruption since the late 1960s. Just north of Erta Alle Volcano are the Dalol Salt Flats. Formerly a shallow lake, the area now sits 120 m below sea level and is covered with salt deposits, some of which are estimated to be 5 km thick. 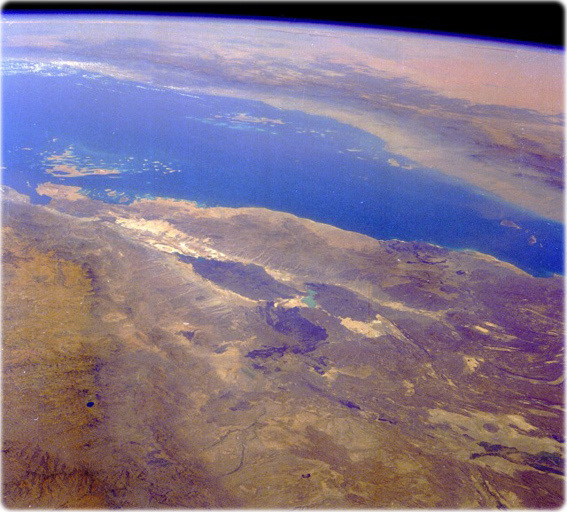 Across the Red Sea, the Hijaz Mountains are visible. Beyond these mountains are the northwestern portions of the Empty Quarter Desert of Saudi Arabia. The Denakil is a great example of the forces of nature at work, altering and changing the landscape. Hikers in the Drakensberg, South Africa (South African Tourism). Morocco dominates this image taken from International Space Station. 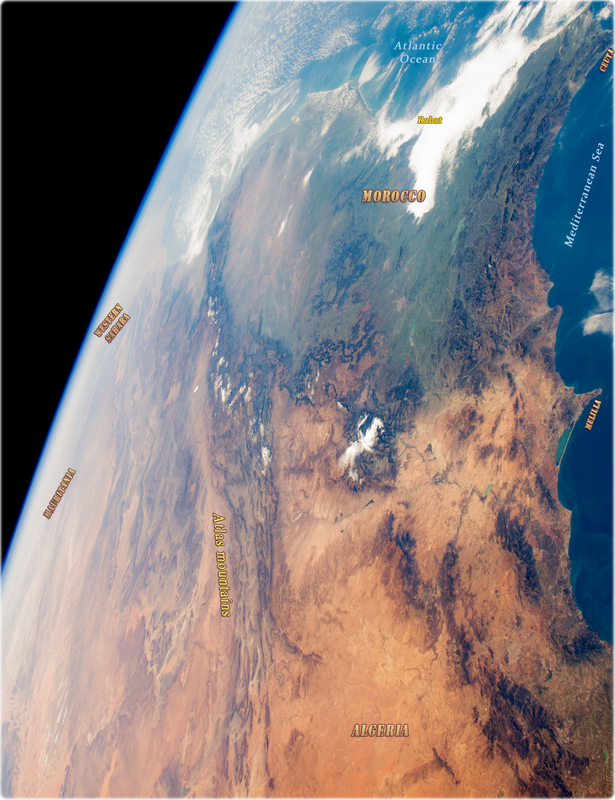 The centerpiece of the image is the Atlas Mountains, which stretch 2,500 km through Morocco, Algeria, and Tunisia. 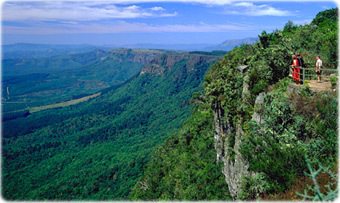 God's Window, in Mpumalanga, South Africa. Photo by August Sycholt. 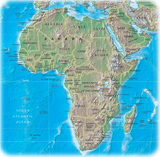 Travel and Tourist Guide African Images and Maps.